Yesterday I received the following email from an experienced pediatric critical care nurse, offering 10 tips for anesthesiologists handing over a patient after a case. I've been a pediatric critical care nurse for 20 years. I work at a Level 1 trauma center and care for everything from the separation of conjoined twins to multivisceral transplants as well as every kind of surgical, medical, and trauma condition one can imagine. We have a good working relationship with the OR/Anes. staff, but I have a few pet peeves. 1. Don't time your paralysis/sedation to wear off just as you are rolling the patient into my unit. It is nice to be able to get an assessment done or restraints placed before the 10-year-old intubated child tries to rip out his art line and extubate himself — when exiting the OR think Vec not Roc. 2. Put caps on all central lines, PICC's, and implanted ports. Yes, you closed the stopcock, but the line is no longer on a sterile field and the uncapped port is lying in who knows what that stuff is on the bed. This happens ALL THE TIME — then we wonder why central line infection rates are so high. 3. Why is propofol sitting unflushed in a 2-foot section of non-running IV tubing but still connected to my patient? 4. Did they really put another kid on a bed upside down??? The kid's head goes toward the end of the bed stenciled "HEAD." 5. The BP on this fresh post-op 12 y/o child is 90/38 and the dopamine and epi drips will both run out in about 5 minutes. WHY??? In the PICU we are not allowed to mix our own (as we did for years), we have to call pharmacy to deliver inotropes. Leave me at LEAST an hour's worth of inotropes running on arrival in the unit. 6. Neurosurg wants the kid left intubated overnight, but on only a fentanyl gtt (no benzo's/no Vec). That marginal ETT tape job was adequate in the OR, but this kid will self-extubate in two nanoseconds. It can take four nurses several minutes to retape an ETT on a struggling child. Help us out and tape it realy well while the patient has Vec on board. Yes; the fentanyl dose is inadequate, but neurosurg won't allow it to be increased — they want to be able to do an exam (happens all the time). 7. The plan is for this kid to remain intubated for several days. Why did he come back from the OR intubated but without an NG? Didn't he have an NG at some point during the case? 8. A complex case will be on multiple Abx, multiple inotropes, TPN and lipids, frequent fluid boluses, frequent blood products — and he comes back with only a single CVL? Unbelievable!!! 9. If an art line is worth putting in it is also worth suturing in place. If you really must leave it unsutured then place a label over the dressing marked "UNSUTURED." 10. It is not a crime against humanity to suction the ETT at some point during the case. I cannot begin to tell you the times I have admitted a patient with progressively worsening O2 sats/etCO2/PIP noted throughout the case. 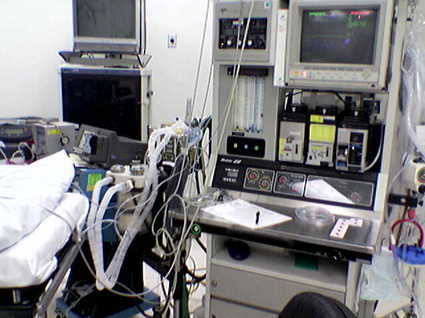 Suctioning, I get HUGE amounts of mucus from the ETT resulting in instant improvement in all ventilation/oxygenation parameters. Full disclosure: On occasion I've been guilty of one or another of the failures listed above. I winced as if receiving body blows as I read down his list — ouch. hello friend excellent post about BehindTheMedspeak: 10 Habits of Highly Annoying Anesthesiologists thanks for sharing!! It's certainly a somewhat recession proof field right now. Sites like http://www.unitedanesthesia.com/ show evidence that every state is still looking for qualified CRNAs (and willing to pay for them too). Hardly something that every industry can claim right now. So, before all you do-gooders start on anesthesiologists you should clean up your own filthy backyard, the stench is suffocating. I believe hospitals are dangerous places due to the above practices, not to mention the self-adulation delusions. Be brave and give us some dirt on the people you are protecting such as CRNA's, PA’s, Nurse Practioners, RT's, RN's, EMT's, phlebotomists, lab personnel, perfusionists administrators and the list goes on and on. I fact there should be a movement to protect patients from the likes of you. You should pay higher malpractice rates and be held accountable and responsible for you actions. You should be drawn into the court system along with the physician to determine your hand and culpability in the many mishaps that occur in hospitals because you are part of that inescapable but protected chain. You delude yourselves and the readers by pretending to be "Holier than Thou". You are a bunch of selfish and dangerous hypocrites. Let's see who amongst you perfect or infallible practcioners will have the courage to come forth and be open to your shortcomings. I will bet I will only hear excuses and will see no sign of courage. I have had it up to here with your BS. I am a Critical Care R.N. (now inactive) who went to medical school (now with an active M.D. license), anesthesiology residency and a pain medicine fellowship. I had an extra nine years of training and education added to my R.N. I have experienced both sides of the R.N.-M.D. fence and witnessed the good and bad of both disciplines. I am not fooled very easily by either side. Nor am I fooled by the confounding factors surrounding the OR-to-ICU route. Factors Nurse Morgan fails to discuss and likely fails to recognize secondary to an emotional knee jerk reaction to his frustrations. The manner in which he presented his complaints was unprofessional and sadly very juvenile. Some of the confounding factors Nurse Morgan fails to understand include: The hospital’s bad habit to forego what is right. The hospital does “right”, however, on the day of the announced and paid-for JCAHO inspection scam. ; Tunnel vision for profits, most of which come from the OR, dictate the surgeon’s megalomaniac behavior. ; Decades of failure of the Society and Board of Anesthesiologists to make a stance against hospital’s neglect for safety and the incompetence of many surgeons. Cowards. ; Some Nurse’s I-wanna-be-a-doctor attitude but who did not have the aptitude or courage to go the medical route gauntlet thus giving themselves the go-ahead to lash out at other disciplines except the “almighty surgeon”. Cowards. The same goes for CRNAs. Albeit, many nurses want to be nurses and nothing else and do their job with courage and dignity. Again, the same goes for CRNAs. Not all anesthesiologists, surgeons, CRNAs or R.N.s fall short of their intended roles and many function at high standards. Yes, some CRNAs and anesthesiologists are guilty of some occurrences on the above list,however, I very much dislike Nurse Morgan’s familiar unprofessional self-serving lazy nurse attitude I witnessed as a nurse and as a physician. Nurse Morgan appears to be a petty nurse who is afraid of the surgeons and afraid to make written recommendations to the appropriate anesthesiology department chain of command. Not once was it mentioned the number of written complaints or recommendations made to the anesthesiology department. Not once was it mentioned a “discussion” with the offending anesthesiologist. I know Nurse Morgan’s type: A know-it-all who does not have the training and education to back up what he is saying. Nurse Morgan lacks the depth and breath of knowledge to make any recommendations for vecuronium, rocuronium or any other paralytic agent. I have witnessed many incompetent and dangerous CCRNs which Nurse Morgan fails to mention. When I was A CCRN I thought I new a lot. When I started medical school I realized how little I knew. When I entered residency and fellowship I realized how little we really know about the science of anesthesiology and medicine in general. It was a humbling experience and you must walk the walk to be able to talk about it and not just imagine it. Nurse Morgan needs a little humble pie. Here, take a big bite and grow up. Have more respect and decorum next time you decide to pop your jugulars with your complaints, Nurse Morgan. Sounds like CHOP has some problems. Some of this info borders on malpractice (like stopcocks and propofol items). I bet JCAHO would be interested in this info. I work in a Cardiothoracic Post-Op ICU (adults, not kids) but this post is 100% true! As I am soon to start nurse anesthesia school, I hope to remember these when I am on the other side of the bed. Thanks for posting these, please pass them on to your collegues (as I work in the same hospital as you and know ALL the nurses would appreciate it!). Thanks! I've had surgery twice, so glad I'm alive and survived it, versus the accidents the put me there. statement about the sterile-cleaning habits in hospitals. May my child never require surgery.